Congress is requiring the DoD conduct a large-scale exercise gaming response to a national cyber incident, reports Fifth Domain. The exercise would include US Cyber Command, Northern Command, and other DoD organizations. Earlier this year the Marine Corps created a new cyberspace occupational field, reports Fifth Domain. 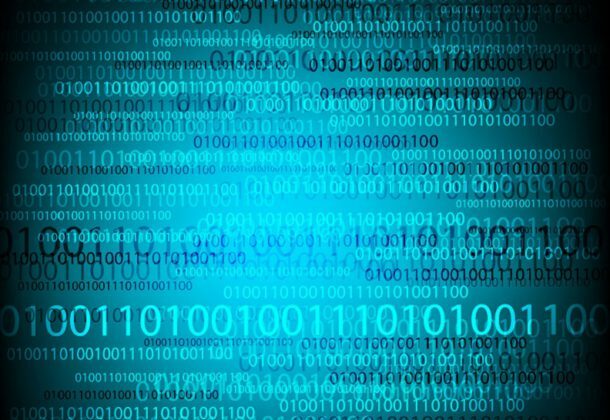 The new cyber field is expected to boost recruiting and supplement existing programs that identify cyber talent. Turkey is one of many NATO members that plans to buy the American-made F-35, but it is the only country in the alliance that has also inked a deal to purchase the Russian-made S-400 missile defense system, reports Roll Call. Poland takes the direct Foreign Military Sales routeto buy Lockheed’s High Mobility Artillery Rocket Systems from the US, reports Defense News, as Romania did earlier this year to speed up acquisition and lower the cost. Operational testing begins on the StormBreaker, Raytheon’s new name for the Small Diameter Bomb II, reports Air Force Times. The StormBreaker can fly more than 45 miles to strike mobile targets despite poor weather conditions, and can be carried by F-16s, F-15s, and F/A-18s. Pentagon reporters say they are not receiving the information they need to keep the public informed about America’s military activities, reports Politico. DefSec Jim Mattis has not briefed reporters on-camera in the Pentagon since April and his chief spokesperson Dana White has not since May. The Tester reports Naval Air Warfare Center Aircraft Division is looking for volunteers as it tackles naval aviation’s No. 1 safety issue: cockpit hypoxia. NAWCAD is recruiting volunteers for the Environmental Physiology and Human Performance Lab. The remains of dozens of US servicemembers killed in the Korean War more than six decades ago are headed back to America after North Korean officials turned them over to military officials, reports Military Times. The Army announced winter deployments to Afghanistan and South Korea for three major units, reports Army Times. The US Navy’s longest-serving submarine, the Bremerton, is heading into retirement, reports Navy Times. The old boat now sits at Puget Sound Naval Shipyard, near her namesake Washington town, never to return to her Hawaiian home port. Decommissioning and dismantlement are the final tasks. She sailed more than a million miles underwater while the world above it changed, says Cmdr. Travis Zettel, the boat’s commander. The Minnesota-based 3M Company allegedly sold its dual-ended Combat Arms Earplugs, Version 2, to the Defense Logistics Agency without disclosing defects that decreased the actual effectiveness of the hearing protection the device offered, reports Military Times. A new survey on personal and professional choices released last week by the Navy says that 52 percent of unmarried women and 45 percent of unmarried men surveyed said being in the Navy has decreased the likelihood they will get married, reports The Virginian-Pilot. Apogee-SAIC Capabilities Integrator LLC., Colorado Springs, Colorado (N61340-18-D-5001); Aero Simulation Inc., Tampa, Florida (N61340-18-D-5002); The Boeing Co., St. Louis, Missouri (N61340-18-D-5003); CAE USA Inc., Tampa, Florida (N61340-18-D-5004); CSRA LLC., Falls Church, Virginia (N61340-18-D-5005); CymSTAR LLC., Broken Arrow, Oklahoma (N61340-18-D-5006); DiSTI LLC., Orlando, Florida (N61340-18-D-5007); General Dynamics One Source LLC., Fairfax, Virginia (N61340-18-D-5008); J.F. Taylor Inc., Lexington Park, Maryland (N61340-18-D-5009); Kratos Technology & Training Solutions, San Diego, California (N61340-18-D-5011); L3 Technologies Inc., Arlington, Texas (N61340-18-D-5012); Lockheed Martin Corp., Orlando, Florida (N61340-18-D-5013); Logistic Services International, Jacksonville, Florida (N61340-18-D-5014); Pro-Active Technologies Inc., Oviedo, Florida (N61340-18-D-5015); Rockwell Collins Simulation and Training Systems, Cedar Rapids, Iowa (N61340-18-D-5016); Triton II JV LLC., Orlando, Florida (N61340-18-D-5017); Veraxx Engineering Corp., Chantilly, Virginia (N61340-18-D-5018); Xebec, Huntsville, Alabama (N61340-18-D-5019); CACI Inc. – Federal, Chantilly, Virginia (N61340-18-D-5020); TRU Simulation and Training Inc., Goose Creek, South Carolina (N61340-18-D-5021); Advanced Acoustic Concepts LLC., Hauppauge, New York (N61340-18-D-5022); Science Applications International Corp., McLean, Virginia (N61340-18-D-5023); and Alion Science and Technology Corp., Burr Ridge, Illinois (N61340-18-D-5024), are each awarded cost-plus-fixed-fee, firm-fixed-price, cost-plus-incentive-fee, fixed-price-incentive-fee indefinite-delivery/indefinite-quantity contracts to provide training device and training systems design, development, production, test and evaluation, delivery, modification, and support. 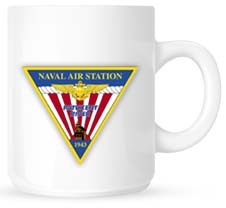 These products are in support of the Naval Air Warfare Center Training Systems Division. The estimated aggregate ceiling for all contracts is $980,000,000, with the companies having an opportunity to compete for individual orders. Work will be performed at various awardee’s facility sites in Colorado Springs, Colorado; Tampa, Florida; St. Louis, Missouri; Falls Church, Virginia; Broken Arrow, Oklahoma; Orlando, Florida; Fairfax, Virginia; Lexington Park, Maryland; San Diego, California; Arlington, Texas; Orlando, Florida; Jacksonville, Florida; Oviedo, Florida; Cedar Rapids, Iowa; Chantilly, Virginia; Huntsville, Alabama; Goose Creek, South Carolina; Hauppauge, New York; McLean, Virginia; and Burr Ridge, Illinois; and various customer sites to be determined on individual orders, and is expected to be completed in November 2023. Funds will be obligated on individual orders as they are issued. These contracts were competitively procured via an electronic request for proposals and 40 offers were received. The Naval Air Warfare Center Training Systems Division, Orlando, Florida, is the contracting activity. Lockheed Martin Rotary and Mission Systems, Manassas, Virginia, is awarded a $48,401,010 cost-plus-incentive-fee contract modification under previously awarded contract (N00024-15-C-6222) to exercise options for the procurement of Navy equipment and engineering services. Work will be performed in Manassas, Virginia (95 percent); and Clearwater, Florida (5 percent), and is expected to be completed by August 2021. Fiscal 2018 other procurement (Navy); fiscal 2018 research, development, test and evaluation; fiscal 2014 and 2015 shipbuilding and conversion (Navy); and fiscal 2018 operations and maintenance (Navy) funding in the amount of $47,144,535 will be obligated at the time of award and will not expire at the end of the current fiscal year. The Naval Sea Systems Command, Washington, District of Columbia, is the contracting activity. Progeny Systems Corp., Manassas, Virginia, is awarded a $17,158,836 cost-plus-fixed-fee level-of-effort, cost-only sole-source contract, with optional cost-plus-fixed-fee and firm-fixed-price production orders, for the procurement of engineering and technical services including software development, commercial off-the-shelf products and hardware and software integration for submarine and undersea warfare weapons systems. This contract includes options which, if exercised, would bring the cumulative value of this contract to $92,012,254. Work will be performed in Manassas, Virginia (65 percent); Middletown, Rhode Island (25 percent); and San Diego, California (10 percent), and is expected to be completed by June 2019. Fiscal 2017 research, development, test and evaluation (Navy) funding in the amount of $6,542,828 will be obligated at time of award and will not expire at the end of the current fiscal year. This contract was not competitively procured, in accordance with 10 US Code 2304(c)(1) – only one responsible source and no other supplies or services will satisfy agency requirements. The Naval Sea Systems Command, Washington, District of Columbia, is the contracting activity (N00024-18-C-6265). Huntington Ingalls Inc., Newport News, Virginia, is awarded a not-to-exceed $9,770,691 cost-plus-fixed-fee undefinitized modification to previously awarded contract N00024-08-C-2110 for additional material in support of component shock testing for USS Gerald R. Ford (CVN 78). Work will be performed in Newport News, Virginia, and is expected to be completed by March 2019. Fiscal 2017 research, development, test, and evaluation (Navy) funding in the amount of $7,328,018 will be obligated at the time of award and will expire at the end of the current fiscal year. The Naval Sea Systems Command, Washington, District of Columbia, is the contracting activity. Gulfstream Aerospace Corp., Savannah, Georgia, has been awarded a $36,154,927 firm-fixed-price modification (FA8106-18-D-0002-P00001) to previously awarded contract FA8106-18-D-0002 for C-20/C-37 fleet sustainment. The contract modification is for exercise of Option Year 1, to include issuance of task orders for five months extension of contract term to support the C-20 and C-37 fleet for the Air Force, Army, Navy, Marines, and Coast Guard; funding uninterrupted continuation of contractor logistics. Work will be performed at Savannah, Georgia; Naval Air Station Sigonella, Italy; Ramstein Air Base, Germany; Andrews Air Force Base, Maryland; Hickam AFB, Hawaii; Marine Corps Base, Hawaii; MacDill AFB, Florida; and Ronald Reagan Washington National Airport, Washington, District of Columbia. The work is expected to be completed by Jan. 31, 2019. Fiscal 2018 operations and maintenances funds are being obligated at the time of award. Total cumulative face value of the contract is $594,429,554. Air Force Lifecycle Management Center, Tinker AFB, Oklahoma, is the contracting activity. IBM Corp., Reston, Virginia, has been awarded a $7,746,167 firm-fixed-price, cost-plus-incentive-fee contract for technical and functional services for the Defense Agency Initiative. This was a competitive acquisition with one response received. This is a one-year base contract with four one-year option periods. Locations of performance are Virginia and other areas in the continental US, with a July 31, 2019, performance completion date. Using customer is Defense Logistics Agency. Type of appropriation is fiscal 2018 operations and maintenance funds and fiscal 2018 through 2019 research, development, test and evaluation funds. The contracting activity is the Defense Logistics Agency Contracting Services Office, Philadelphia, Pennsylvania (SP4701-18-C-0048). StraCon Services Group LLC, Fort Worth, Texas, is awarded an indefinite-delivery/indefinite-quantity contract to provide program management support services for the Naval Air Systems Command (NAVAIR). This contract is an additional award against a previously announced multiple award contract (N00421-18-D-0054), with an estimated aggregate ceiling for all contracts combined of $960,000,000. The companies will have an opportunity to compete for individual orders. Services to be provided include leading, facilitating, and ensuring the strategic planning, implementation, coordination, integration, and evaluation of programmatic activities and administrative systems for NAVAIR managed programs Program Executive Offices. Work will be performed at various locations within the NAVAIR, Patuxent River, Maryland, commuting area and is expected to be completed in June 2023. No funds will be obligated at time of award; funds will be obligated on individual task orders as they are issued. This contract was competitively procured via an electronic request for proposals as a 100 percent small business set-aside; 84 offers were received. The Naval Air Systems Command, Patuxent River, Maryland, is the contracting activity. Modern Technology Solutions Inc., Alexandria, Virginia, was awarded a $7,973,785 modification (P00014) to contract W9133L-16-F-0027 for modernization and engineering support. Work will be performed in Tucson, Arizona, with an estimated completion date of July 24, 2019. Fiscal 2018 operations and maintenance Army funds in the amount of $7,973,785 were obligated at the time of the award. National Guard Bureau Operations Contracting, Washington, District of Columbia, is the contracting activity. G-W Management Services LLC, Rockville, Maryland (N40080-17-D-0022); Desbuild Inc., Hyattsville, Maryland (N40080-17-D-0023); CFM/Severn JV, Millersville, Maryland (N40080-17-D-0025); Ocean Construction Services Inc.; Virginia Beach, Virginia (N40080-17-D-0026); C.E.R. Inc., Baltimore, Maryland (N40080-17-D-0027); and Tidewater Inc., Elkridge, Maryland (N40080-17-D-0028), are awarded a $25,000,000 firm-fixed-price modification to increase the maximum dollar value of an indefinite-delivery/indefinite-quantity multiple award construction contract for construction projects located primarily within the Naval Facilities Engineering Command (NAVFAC) Washington Integrated Product Team (IPT) Gold area of responsibility (AOR). After award of this modification, the maximum dollar value for all six contracts combined will be $124,000,000. Work will be performed primarily within the NAVFAC Washington IPT Gold AOR to include the District of Columbia (40 percent); Virginia (40 percent); and Maryland (20 percent). The term of the contract is not to exceed 36 months, with an expected completion date of September 2020. No funds will be obligated at time of award; funds will be obligated on individual task orders as they are issued. Future task orders will be primarily funded by military construction (Navy); operations and maintenance (Navy) and (Marine Corps); and Navy working capital funds. This contract was competitively procured via the Navy Electronic Commerce Online website with 28 proposals received. These six contractors may compete for task orders under the terms and conditions of the awarded contract. The Naval Facilities Engineering Command, Washington, District of Columbia, is the contracting activity.